Facebook’s taken a hit in marketing terms as of late; however it doesn’t mean that you can’t leverage other means to gain pace for your social media marketing push. Google+ has become central, albeit in a different way, in helping business’s marketing attempts and actually has a far from lacklustre quarter of a billion users. Of course, it links directly into Google’s search engine and so is great for search engine optimisation. 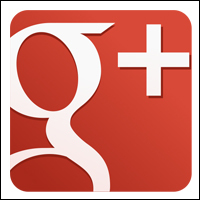 So, let’s have a closer look at how to use it to give you a push via our Google+ tips. Use the About Us page to build links to specific pages and direct customers to where you wish to direct them. Ensuring to balance readable copy and SEO allows you the best of both worlds. One of the big benefits can be gotten from the bullets that can be added to the description. These can be linked to easily and also are ideal for clear, easy to read copy. Using the Google + Your World feature requires regular posting and also optimised posting. Include keywords in your posts so they appear in other people’s personalised results and you are more likely to appear in search efforts. These personalised results can really be pushed to show your relevance to someone else’s query. One thing Google has done, has been to push Google + into the forefront of our social media and SEO efforts through aggressive SEO. One of the pushes to engage has come with the Google Authorship tool, which Google authenticates before including you as a trusted source. It’s quite self-explanatory to set up via Google + and can really aid your efforts. Of course, in addition your image is also shown next to the post, which will increase the chances of click through by adding a human element to the piece. There are other benefits too. It also will show up on the personalised SERPSs page, which makes content stand out, while increases the awareness of your Google + profile. If you want to become known and respected in any industry, you must engage and then converse with others. This adds to the success of your business and Google + is a great way to help achieve this. Google + shared circles directory allows you to add large directories of people to your circles at a click. This permits you an instant stream of posts and conversations to engage in. Do remember that your business can’t circle people and the ground work has to be done with your personal page. When you feel it is okay then you may introduce your business. Of course you can also use Google+ to perform searches for mentions about your or your brand as they appear. This allows you to engage, answer or comment and people will be more than happy with a +1 if you have nothing to say. It is gestures not words that matter, after all. Google+ can really benefit businesses big and small in a more in-depth way than Facebook. And as long as Google is the dominant search engine, you can expect Google+ to be of huge advantage to your business. Need help with your social media strategy? Get in touch with us today.